Kathryn Engberg, the third generation artist in her family, was exposed to art from a very young age. Watching her mother and grandmother paint and spending time in their respective studios was a regular and natural part of her childhood. Spending time in great museums and making 'art projects' were among her favorite pastimes growing up in Salisbury, Maryland. She displayed a precocious creative gift for drawing and painting and was fortunate to be enveloped in a cultured, artistic enviroment that nurtured her extraordinary talent. After graduation high school, Kathryn went on to attend Grand Central Academy in Manhattan under the tutelage of the internationally acclaimed classical master Jacob Collins and several of his most accomplished students. Engberg graduated from Grand Central Academy in 2016 and is currently an instructor at this renowned atelier school, which is modelled after the European atelier schools of the nineteenth century. 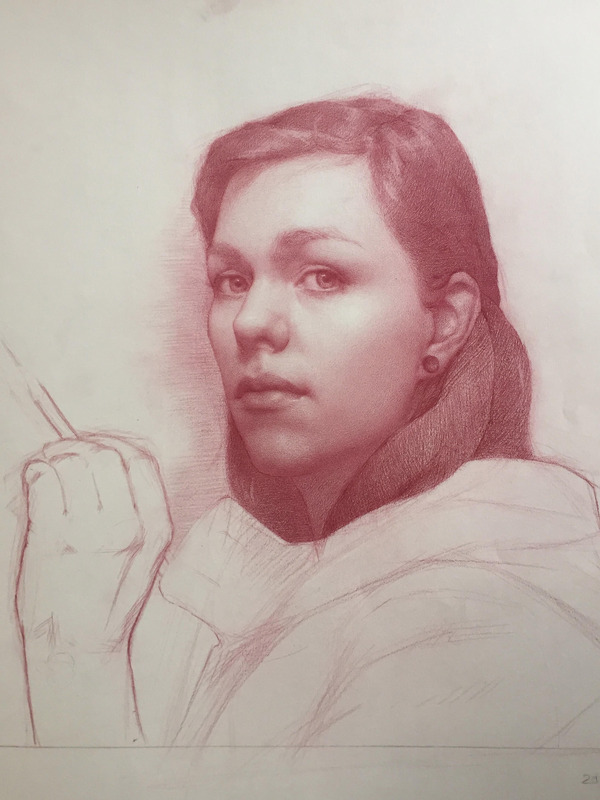 At only 22, Kathryn Engberg is a rare prodigy, displaying an exquisite sensitivity of highly refined draftsmanship and classical painting technique. Engberg is the recipient of numerous awards, including those from Grand Central Academy, Art Renewal Center and The Stobart Foundation. Her work is represented in galleries up and down the East Coast of the US. Kathryn Engberg currently resides in Queens, New York with her young cat, Gyatso. She strives to revive the classical traditions and extraordinary craftsmanship of the past with her own singular perspective, incorporating an exquisite sensitivity and capability extremely unique indeed.